How Dirty Is Your Balance Sheet? Have you ever heard the phrase "clean up the balance sheet" as part of preparing your company for sale when you exit? Well, has anybody ever adequately explained to you what a "clean" balance is, and why it matters? And what if you don't intend to sell your company to an outside buyer? If you are giving it to your kids, or selling it to one or more employees, should you still "clean up" anything? This short article explains what you need to know about your balance sheet to avoid making the mistakes that many owners make in their exit planning. What Is a Clean Balance Sheet? Why Does It Matter at Sale? To maximize the price you receive at sale from an outside buyer and facilitate a smooth transaction, you must have a clean balance sheet. A clean balance sheet shows low-to-no debt, is accurate, and is uncluttered by underperforming, out-of-date, or non-productive assets. A clean balance sheet presents a clear picture of the company's assets and liabilities, with no surprises or required adjustments. The more accurate and clear the balance sheet, the more credible your company's financials, which in turn gives buyers more confidence in the company and its leaders and supports a strong price and favorable terms at sale. Think about it from the opposite point of view — a "dirty" balance sheet is a warning sign. If your company's balance sheet is riddled with inexplicable, inaccurate, or non-productive items, potential buyers are likely to suspect the rest of the company's financials. The result can be a reduced offer price followed by a more rigorous due diligence process because the buyer has reasons to ask themselves, "What else might be wrong here?" For any offer you do receive, expect something less than all cash and rather burdensome contingencies in the buyer's favor. Many companies have balance sheets that are not as clean as they should be, not because of any intentional oversight or effort, but because owners and leadership teams often do not know how to maintain a clean balance sheet. Receivables – Collect what you can and write off what is uncollectable. Buyers discount overdue receivables and won't pay anything for uncollectible debts. Slow collections may leave the buyer less confident in your team and/or cause the buyer to lower its price to adjust for the reduced cash available. Debt – Pay it down or off where possible. Verify the Assets – Review and document the company's assets. Companies, like people, tend to accumulate stuff with time: vehicles, equipment, furniture, computers, etc. Review the assets and accurately account for them and their value. Keep in mind this requires identifying which assets are in the business, since the depreciation schedule does not always include everything, and titles can be incorrect. Non-Business Assets – Remove non-business assets or assets that might not be included in a sale, such as personal assets, non-operating real estate, or assets of sentimental value to the owner. They clutter the balance sheet and may distort your financial ratios. Removing them presents a cleaner, truer picture of the asset base. Inventory – Make sure all inventory is sellable. If you have obsolete or slow-moving inventory, talk to your tax advisor about writing it off. Writing off inventory decreases earnings, so get this step out of the way before you go through a sale process. Be prepared to explain to potential buyers your actions and what steps you have taken to prevent building up excess or obsolete inventory in the future. Excess Cash – Distribute it. Many business owners accumulate more cash than the company needs for operations and investments. If you wait, you'll find yourself negotiating with your potential buyers how much is excess and how much needs to be left in the company for working capital. Owner/Officer Receivables and Payables – Pay them off. For any that you cannot pay off, make sure they are fully and properly documented and have market-rate terms. If an owner/officer's loan to the company cannot be paid off, consider converting it to equity. Intra-Company Loans – Pay them off. If not possible, consider establishing third-party financing. At a minimum, ensure the loans are fully documented and terms are consistent with market standards. 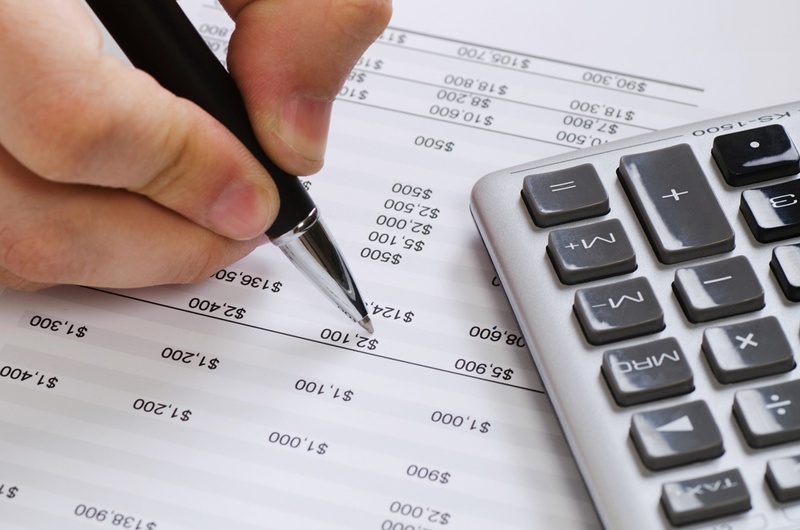 Off-Balance Sheet Items – Payables and accruals that are not documented need to be addressed and properly documented. Company-Owned Life Insurance – Review with your insurance and tax advisors to determine if any company-owned life insurance policies should remain in the company or be distributed out and/or cashed-in prior to sale. Inexplicable Items – Many companies accumulate items or accounts on the balance sheet that are not well documented or understood. Investigate and clarify anything on the balance sheet that you cannot readily and accurately explain. What if You Are Passing the Business to Family or Selling to an Inside Buyer? If your exit strategy does not involve selling to an outside buyer, but rather, you intend to pass the business down to family members or sell the company to an inside buyer, the balance sheet still plays an important role. But do not rush to clean up the balance sheet as described above. In many situations, a lower valuation for the company is favorable in order to reduce potential taxation when passing to family or selling to an inside buyer. Therefore, a weaker balance sheet may paradoxically be desirable to the extent that it helps support a lower company valuation. Long before you pursue selling the company, take a hard look at your balance sheet just as a potential buyer would. Ideally, start this process no less than five years prior to selling the company, because potential buyers will want to see at least three and sometimes five years' historical reports. Clean up where possible. Remember, what you uncover and deal with prior to sale does not have to be negotiated with the potential buyer. A more organized balance sheet is a sign of a better-managed and more valuable business.